There are two ways to increase your buying power when it comes to travel: Spend more money, or choose destinations where every dollar gets you more. 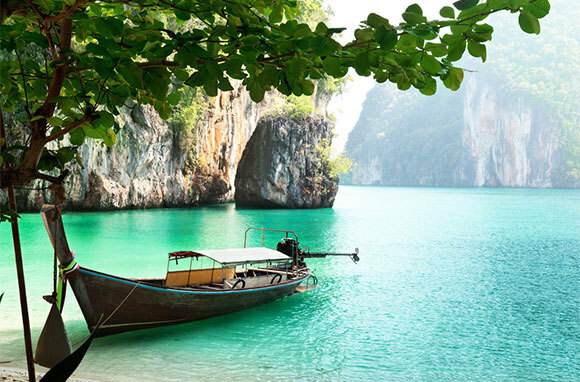 We’re big fans of the second approach, so we’ve rounded up 10 destinations where the dollar goes further. Consider it a no-sweat way to bulk up those Benjamins. 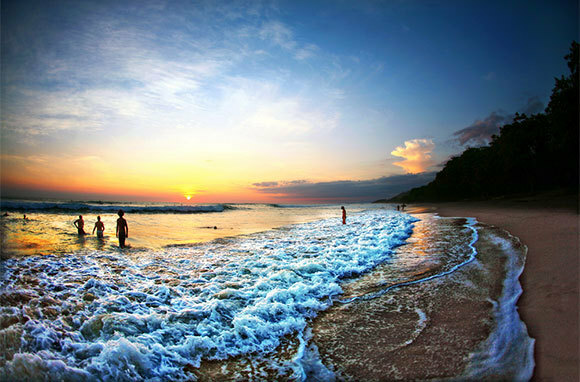 Costa Rica is known as one of the more expensive destinations in Central America, but its favorable exchange rate and relationship with American low-cost carriers makes it a destination where you'll still get great value for your money. Exchange rates have yo-yoed over the last five years, but recently the dollar has been holding steady at around 500 colons (the Costa Rican currency). So a dollar and change gets you a beer or snack, $15 covers a basic budget-hotel room, and domestic airfare starts at about $50. And while flights from the U.S. to cheaper Central American destinations can get expensive quickly, Costa Rica has the benefit of service from low-cost carriers, including JetBlue and Spirit. 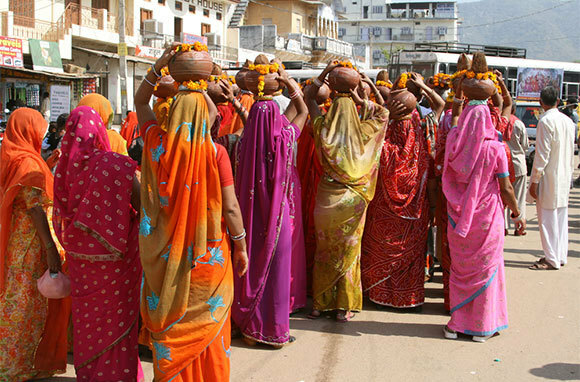 India is a budget traveler's dream, a destination where the basics cost little and luxury only a bit more. So when you factor in a dollar that, for half a decade, has only gotten stronger against the rupee, you've got a seriously favorable travel-currency prospect. A few years ago, the exchange rate hovered around 39 rupees to the dollar. By last year, it was more like 48 rupees to the dollar. And right now, travelers are looking at about 54 rupees to the dollar—nearly 30 percent more. 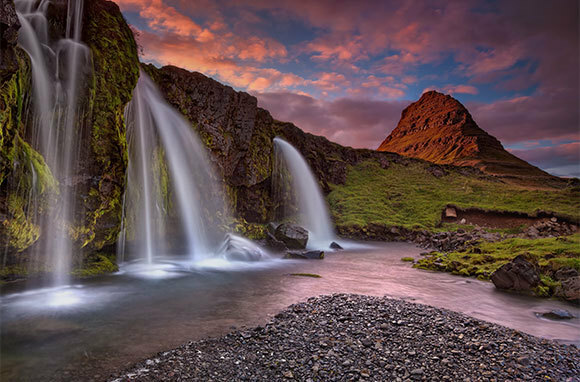 Years after its economic near-collapse, Iceland is still struggling. Though the country has now cleared many of the hurdles on the path to economic stability, its currency, the krona, continues to suffer against the dollar. In fact, in the last 12 months, the krona has declined an additional five percent against the dollar, making this an ideal time to get the most out of every travel dollar on this enchanting northern island. And there's another simple trick to spending less and doing more in Iceland: take advantage of the multitude of free activities. From waterfalls and sea cliffs to lava fields and natural geysers, you won't find admission fees or parking charges at many of the country's most famous natural wonders. Mexico's noteworthy affordability stems from two key factors: Prices throughout the country are inherently low, and the peso is weaker against the dollar than it was just a few years ago. Add to the equation the lingering tourism-discouraging effects of worldwide coverage of Mexico's struggles with drug violence and you'll find a country where the dollar goes far. And while safety is a legitimate concern, for most tourists the best places to go in Mexico are far away from the violence. 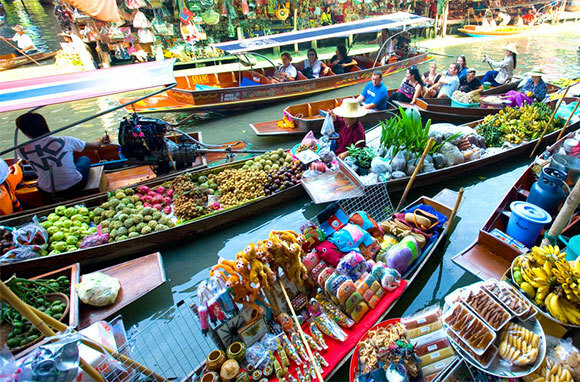 Thailand not only offers a favorable exchange rate, but its capital, Bangkok, was also named the world's third-best city in terms of overall value for money in a recent TripAdvisor survey. The last few years have brought tourism-discouraging challenges, including political unrest and major flooding, so the country is particularly keen on showing that it's a great destination and also an affordable one. Indeed, according to The Economist's Big Mac index, the Thai baht is undervalued by 33 percent against the dollar. Even with high internal inflation, Argentina remains a good deal. The last five years have seen a long and steady slide of the Argentine peso in favor of U.S. travelers. And not only is the country easy on the wallet right now, it's also got serious visitor appeal on its side. 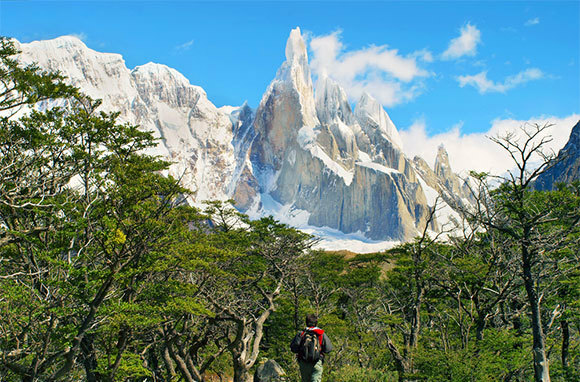 From the trendy streets of Buenos Aires to Patagonia's breath-stealing natural beauty and Mendoza's famous wine trails, Argentina delivers great vacations with a bow on top. Back in the summer of 2008, a dollar could get you 144 Hungarian forints. Today, that exchange rate hovers closer to 220 forints to the dollar. That's a significant change that benefits U.S. travelers looking for historic towns, castles, and famous spas. 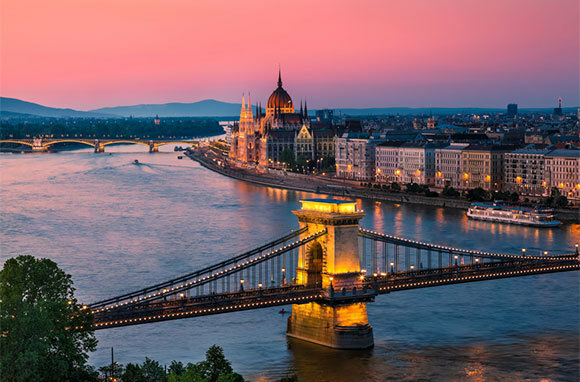 And Hungary's relative affordability compared to much of the rest of Europe makes it a great value destination, one that's improved even more by deals such as Budapest's Winter Hot Pack, which gives you a third or fourth night free plus free entry into a historic spa, as well as other discounts. Offers delivering similar value should be the norm throughout the year. If this entire list held just one surprise for us, Bali is it. 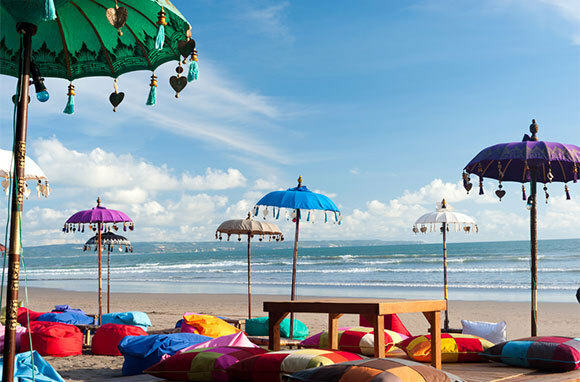 Commonly associated with pricey and paradisiacal soul-searching, the recent strength of the dollar compared to the Indonesian rupiah has made Bali more affordable. The exchange rate's slow creep upward over the last year means that visitors get a bit more out of every dollar. And while it's still easy to spend big, a little research and creativity can get you a slice of paradise for less. 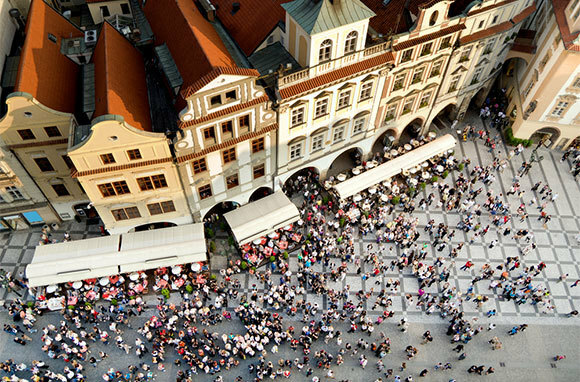 As with Hungary, visitors to the Czech Republic benefit from visiting a European Union country that maintains its own currency—one that offers solid value to Americans abroad. From five-year highs of 14.6 Czech koruna to the dollar, the exchange rate is now hovering around 19.5 koruna to the dollar. Also like Hungary, the Czech Republic tends to offer good value for visitors, with a winning combination of affordability ($2 beer) and fantastic reasons to visit (castles, spa towns, snowy mountain ranges, and beautiful cities). Here's the thing about Ecuador: For more than a decade, the official unit of currency has been the U.S. dollar. 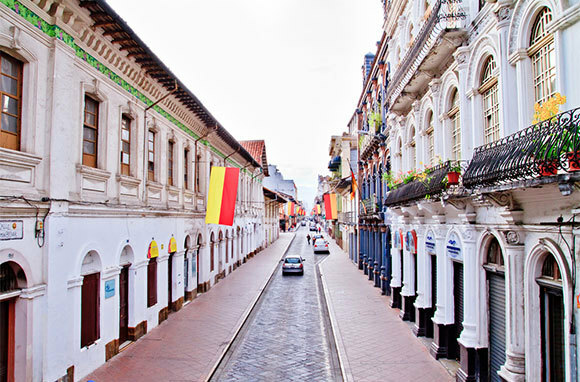 That means you can use both U.S. coins and paper currency in addition to Ecuadorian coins, which come in the same denominations as American money. Because of this, it's really easy to know when you're getting a good deal. And in Ecuador, good deals are standard: a multi-course lunch costs about $3 and a basic hotel room with a private bathroom about $20. Also recommending it is the fact that an increasing number of Americans are retiring to the country because of its particular blend of excellent value and quality of life.